For damn near half a century, Black Sabbath has been the band that wouldn’t die. Through a slew of panned album releases, exhaustive lineup changes, serious drug addiction and even a battle with lymphoma, the progenitors of heavy metal have always persevered in one form or another. But now, despite the band’s long history of breakups, makeups and retirement threats, the world really does seem to be facing a future with no more Black Sabbath. After countless treks around the globe, the group’s current tour is being billed as The End, and there is little reason to suspect that it isn’t. Who can blame them? The three original members still carrying the Sabbath banner are older than dirt, and they’re literally already in the Hall of Fame. There’s not much left to prove, except that they ain’t as young as they used to be. 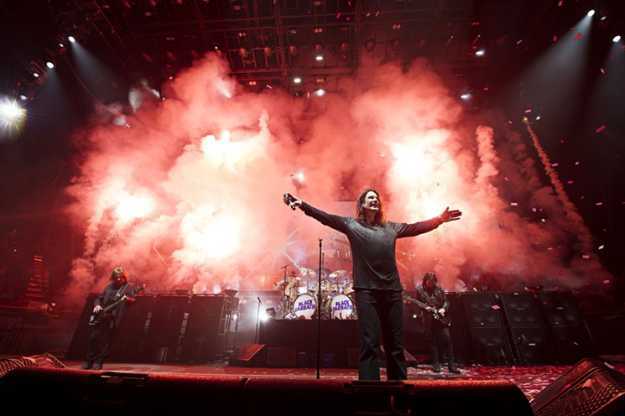 A fond look back may be all that’s left, but it’s an opportunity that the band’s iconic front man says they’ll be happy to seize when Black Sabbath rumbles into Houston for what looks to be the final time on Thursday. It will be the band’s second-to-last performance in the U.S. The last time Ozzy Osbourne got onstage in Houston, it was Sabbath’s first night of a U.S. tour promoting their first record together in years — 2013’s, uh, 13. It could’ve gone better. This time out, he promises that it will. To be sure, Thursday’s show should be an unabashedly nostalgic affair from start to finish. That doesn’t mean that everybody packed into Toyota Center will be farting dust, however. One of the perks of performing in a band that never quite goes out of style is that there is always another, fresh-faced generation of metal obsessives coming up that is majorly stoked to pay homage to the group that started it all. For some, this could be their first and only chance to see the mighty Sabbath mostly intact. Father-son bonding time was something that Ozzy didn’t always get a lot of back when most of his time was spent out on the road or out of his mind on drugs. These days, he’s getting as much of it as he can — in the most Osbournes way possible, naturally. The singer says he longs for the simple comforts of home, but his does not seem destined to be a private life, even in rock-star retirement after the tour’s end. 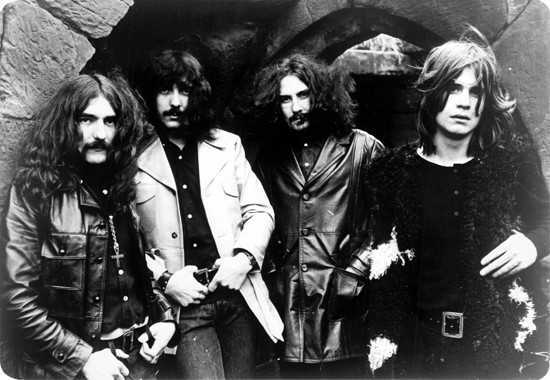 Though the reality-show biz beckons, putting Black Sabbath in the rear view will be easier said than done. The band has been another sort of family to Ozzy, one he could never quite escape even during their decades apart. When The End World Tour wraps up where the journey began back in ’68 — Birmingham, England — he says that he isn’t quite sure how he’ll feel. No doubt a host of memories will come flooding back — many, even, that seemed lost for good. Ozzy has made a few in Texas over the years; the Alamo incident certainly springs to mind. Though the memories will soon be all that remains of Black Sabbath as a touring concern, there remain a few left to be made on Thursday. If the band’s fans (and promoters) had their way, Sabbath would probably keep on playing arenas forever. Hell, they’ve already managed to outlast Mötley Crüe, possibly their only rival as the Band That Refused to Die. Ozzy says he has given up trying to figure out Sabbath’s long-lasting appeal.